With so much conflicting information on diets circulating about, it's a wonder more people don't just give up and go for a breatharian lifestyle--consuming no food or water, just living on the energy of the universe that surrounds them.1 (Note: until you can live totally outside the laws of the physical world, that's probably not a good idea.) Seriously, though, think about this for a moment. Forty years ago, saturated fat was the bad guy. Now, new studies say: maybe not. Then the emphasis shifted to carbohydrates, and it was considered ideal to go low-carb. Diets currently in vogue include high-meat paleo diets and keto (ketogenic) diets designed to trick your body into starvation mode and consume its own fat cells--all while encouraging you to live on cheeseburgers and steak. And we won't get into all the pre-packaged plans (Jenny Craig, Weight Watchers, and South Beach) that deliver expensive, 100% processed-food meals to your door. But perhaps, all those diets are wrong. As it turns out, a new, long-term study recently published in The Lancet suggests that eating carbohydrates every day may be a better option--both for losing weight and optimum health. The study sought to examine low carbohydrate diets--i.e., diets that restrict carbohydrates in favor of increased protein or reduced fat intake, or both.2 As indicated above, such diets currently form the basis for many popular weight-loss strategies. However, the long-term effect of carbohydrate restriction on mortality is controversial and could depend on what foods are used to replace dietary carbohydrates. The study, more explicitly then, investigated the association between carbohydrate intake and death. The study was large, tracking some 15,428 adults between 1987 and 1989 in four US communities, who were aged 45--64 and who completed a dietary questionnaire at enrollment in the Atherosclerosis Risk in Communities (ARIC) study and who did not report extreme caloric intake. That is, they didn't consume either less than 600 kcal or more than 4200 kcal per day for men or less than 500 kcal or more than 3600 kcal per day for women. The primary outcome the researchers looked for was all-cause mortality. In other words, they investigated the association between the percentage of energy they were getting in their diets from carbohydrate intake in a person's diet and how old they were when they died from any cause--while accounting for other factors that might affect the result. Then, to develop an even more comprehensive picture, they combined the ARIC data with data for carbohydrate intake reported from seven multinational prospective studies in a meta-analysis. Finally, they assessed whether substituting animal VS plant sources of fat and protein for carbohydrate affected mortality. During follow-up over a median span of 25 years, there were 6,283 deaths in the ARIC cohort, and there were 40,181 deaths across all the cohort studies. In the ARIC cohort, after adjusting for variables, there was a U-shaped association between the percentage of energy consumed from carbohydrates and death. That is to say, both those who consumed very, very few carbohydrates in their diets and those who made carbohydrates the overwhelming portion had a greater mortality rate, whereas those who got a moderate amount of their energy from carbohydrates had a lower mortality risk. Likewise, in the meta-analysis of all cohorts (432,179 participants), both low carbohydrate consumption and high carbohydrate consumption conferred greater mortality risk than did moderate intake. Even more surprising was the fact, though, that those who consumed the fewest carbohydrates had the highest mortality rates--even higher than those who consumed the most. But again, and to the point of the study, those who consumed a moderate amount--getting 50-55% of their calories from carbs had far and away the lowest mortality rate. Now, isn't that a mind-bender? That said, results varied by the source of macronutrients other than carbohydrates. In other words: both high and low carbohydrate diets were associated with increased mortality, with minimal risk observed at 50--55% carbohydrate intake. That said, low carbohydrate dietary patterns that replaced those carbohydrates with animal-derived protein and fat sources such as lamb, beef, pork, and chicken, were associated with higher mortality versus those that favored plant-derived protein and fat intake from sources such as vegetables, nuts, peanut butter, and whole-grain breads--suggesting that the source of food notably modifies the association between carbohydrate intake and mortality. Essentially, the researchers found that people who ate a moderate amount of carbohydrates -- 50-55% of their daily calories -- lived the longest. On the other hand, those who derived more than 70% of their calories from carbohydrates or got less than 40% of their daily supply of energy from carbs were more likely to die than those who ate them moderately. In other words: too many carbs bad, too few carbs bad, in the middle just right. In fact, the researchers concluded that a 50-year-old who eats within that 50-55% range of carbohydrates could expect to live to the ripe old age of 83.1 years, whereas a 50-year-old who gets just 30% of their calories from carbs could expect to top out at 79.1 years. In other words, they could expect to die four years sooner. The modifier to that conclusion was that those who substituted animal proteins for carbohydrates died sooner than did those who replaced their carbs for plant derived protein. I have no problem with the study's conclusions--in fact, I mostly agree with them. But I sure as heck have a problem with how the researchers arrived at them. When it comes to health and nutrition, the Devil is in the details, and this study completely ignored some of the most important ones. Now, don't get me wrong. I'm not saying that the researchers don't know the details exist--they freely talk about them in separate interviews with the press--they just decided to leave them out of this study. And that's a huge problem. The biggest issue/detail, of course, is that they lump all carbohydrates together for their analysis--as though all carbohydrates are interchangeable. But that's ridiculous. Carbohydrates aren't one thing with one set of properties. Depending on their structure, they vary widely and have monumentally different properties. I've covered this concept multiple times over the years, but let's do a quick review. Your body can only use glucose (a carbohydrate) as energy. Everything must get broken down to this first. Glucose is the simplest form of sugar in your blood. And carbohydrates in your diet are the source of glucose in your body. Carbohydrates are formed by green plants and constitute a major class of animal foods. They are made from carbon, hydrogen, and oxygen--and when broken down, ultimately resolve into glucose. If there is too much glucose in your body (hyperglycemic), your pancreas produces insulin to shuttle the sugar out of your blood and into your cells, if there is too little (hypoglycemic), your body produces glucose, which gets rid of the insulin so you can build up more sugar in your blood. 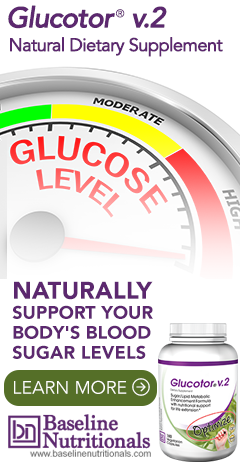 Hyper- and hypo- glycemia are the extreme conditions of high and low blood sugar, respectively. Additionally, when your body doesn't need to use the glucose for energy, it stores it in the liver and muscles. This stored form of glucose is made up of many connected glucose molecules and is called glycogen. Quite simply, our bodies need carbohydrates. Most of the organs and tissue in our bodies, including our muscles and our brains, run on carbohydrates. As Dr. Joel Fuhrman says in his book, Eat to Live (highly recommended), "It is impossible to glean all the nutrients needed for optimal health if your diet does not contain lots of carbohydrate rich food." And he continues, "Fresh fruits, beans and legumes, whole grains, and root vegetables are all examples of foods whose calories come mainly from carbohydrate. It is the nutrient-per-calorie ratio of these foods that determines their food value." The concept of nutrient density that Dr. Fuhrman mentions is key to truly making sense of dietary issues. The USDA maintains a National Nutritional Database. Go to the database and start searching on your favorite foods. If you know how to read it ("energy" equates to calories -- check out butter and compare sirloin steak to romaine lettuce, for example), you will be greatly surprised. You will find that romaine lettuce not only has far more nutrients than sirloin (probably not a surprise), but it also contains over twice the protein per calorie as sirloin (not more protein per ounce, but more protein per calorie). Now, that probably will come as a surprise to most people. As a side note, on a per calorie basis, romaine lettuce contains 100 times the calcium, over 20 times the magnesium, and infinitely more antioxidants, phytochemicals, and fiber than sirloin. Which food do you think is more beneficial to your body? And even whole grains have more nutrient density than meat and dairy. To be sure, many grains are high glycemic and trigger an insulin response, which is a major negative and should be avoided as much as possible--but not all grains do so. As I've pointed out, my main problem with the study is in how it lumped all carbohydrates together, as though they all have identical properties and are all used by your body in the same way. That's simply not true. So, how are they different? The key to how carbohydrates are used in the body in different ways is how quickly they break down in the digestive tract. This is largely determined by their fundamental structure. Simple, or short-chain, carbohydrates don't need to be broken down at all. They are instantly available to the body. These are the sugars. To say that all sugars are bad, though, as is often now stated, is an oversimplification of the problem. There are many times that your body truly needs an instant influx of energy foods. There are many sugars such as mannose that play a key role in our immune systems. However, there is no question that, in general, a sustained high-level intake of sugars--especially refined sugars--spikes insulin levels and eventually contributes to major health problems such as obesity, high cholesterol, high triglycerides, and diabetes. Complex, or long-chain, carbohydrates cannot be utilized by the body until they are broken down. Complex carbohydrates consist of hundreds or thousands of sugar units linked together in single molecules. Theoretically, since they are not instantly available to the body, they should raise glucose levels more slowly and be healthier than simple sugars. And while that is mostly true, it is not always the case. For example, some long-chain carbs, such as those found in potatoes, bananas, all refined grains (actually, many whole grains too), and maltodextrin (which is frequently added to processed foods) break down very quickly in the digestive tract and are virtually indistinguishable from straight sugar in their effect on the body. There are two qualifiers for this. Fiber. Fiber is a complex carbohydrate that cannot be digested by human beings. It has no calories because the body cannot absorb it. The more fiber present in food, the more slowly the carbohydrates bound to that fiber break down. That's why high fiber fruits and vegetables such as broccoli and prunes and berries tend to be very low on the glycemic index. In general, these foods, although they are pure carbohydrates, can be eaten abundantly on any low-carb program. Branching. If the simple sugars in a complex carbohydrate are not assembled in a straight line, but are included in many branches, it slows the breakdown of the carbohydrate dramatically because the enzyme amylase does not work on branches. Examples of branched carbohydrates include the gums such as guar and xanthan. The key point here, again, is that the study linked all carbohydrates together. Remember, the researchers investigated the association between the percentage of energy from carbohydrate intake in a person's diet and all-cause mortality--making no differentiation as to what type of carbohydrates were being consumed. Or to put another way, they treated a Snickers bar the same as a salad--or a bowl of Frosted Flakes the same as a bowl of fresh berries. That's both intuitively and empirically wrong. But even without making that distinction, didn't the study conclude that including carbohydrates in your diet prolonged life? So, it's all good, right? What's the problem? The problem is that lumping all carbohydrates together in a study can cause people to misinterpret what they're hearing about the study and make bad dietary decisions. Remember, this study is a statistical analysis of the results of the dietary choices made by hundreds of thousands of people. It did not analyze whether people who consumed healthy carbohydrates gained more than the 4 extra years noted in the study. Nor did it evaluate whether those who got most of their carbohydrates from sugar and white bread did less well--or might even have lost some years. Because the results were based on an average of the consumption of all different types of carbohydrates, all you can see is the final average. You might think that getting your carbohydrates from sugar drinks and Sugar Smacks is going to help you live longer based on the study, when in truth, you might even die earlier. ...will tend to age well and are less likely to die early. The study certainly points in that direction, but as I've mentioned, leaves out crucial details which could lead to people making bad choices. Fulfilling your carbohydrate requirement by getting 50% of your calories from white bread does not produce the same health results as using fresh vegetables and greens to fulfill your requirement. Ultimately, this is about systemic inflammation, and fresh fruits and vegetables reduce inflammation, whereas sugar and white flour increase it. Yes, carbs should be an important part of your diet, but the type of carbs you eat makes all the difference in the world. Which brings us to beef. As we've discussed in other newsletters, the commercial, grain-fed beef you buy in most supermarkets is extremely high in Omega-6 fatty acids (reflecting the high Omega-6 content of the grain itself) and is therefore highly inflammatory. As I have pointed out repeatedly, the imbalance in the ratio of Omega-6 to Omega-3 fatty acids is one of the single greatest dietary risks we face. It likely plays a role in everything from heart disease to cancer. Grass-fed beef is much closer to the ideal 1:1, 2:1 ratio your body needs and does not promote inflammation. The study didn't look at this difference, but it's important. Bottom line: balance is the key. A diet tipped too far in any one direction--too many carbs (healthy or not), too many proteins, too much whatever is pretty much guaranteed to be unhealthy. In the end, if you're looking for health and long life, you're looking at a Mediterranean Diet. Historically speaking, the Mediterranean diet is not "actually" the diet of any country or area; instead, it is "inspired" by the traditional dietary patterns of the peoples of southern Italy, Greece, and Spain. The more generic forms of the diet--and the form followed by most of the physicians in the survey--center around high consumption of olive oil, legumes, unrefined cereals, fruits, and vegetables, with moderate to high consumption of fish, moderate consumption of dairy products (mostly as cheese and yogurt), moderate wine consumption, and low consumption of meat and meat products. Moderate to high consumption of wild caught fish (if desired…and if it's still available). Organic butter from grass-fed cows. Moderate consumption of organic, certified-humane eggs (if desired). Low consumption of organic, raw dairy products--mostly as yogurt and cheese (if desired). Whey is certainly a concentrated source of supplemental protein, but it's also extremely high in allergens. I would keep consumption moderate to low. Low consumption of unrefined, organic grain products. (Avoid the newer strains of non-organic high gliadin wheat.) And if you have celiac disease, then avoid them altogether. Do not substitute with high glycemic, non-gluten knock offs. Since this diet recommends low consumption of these foods anyway, simply eliminating them is not that big a sacrifice. If you don't have a gluten problem, barley is not a bad choice as it is low glycemic. Even better is pre-sprouted barley, which is a nutritional powerhouse. Extremely low (or no) consumption of high glycemic refined grains, starches (e.g. potatoes), isolated sugars, and any modern, high-gliadin, genetically engineered strains of wheat. It is said that we dig our graves one forkful at a time. There is much truth in that statement. Likewise, making smart dietary choices--including eating adequate amounts of healthy carbohydrates--gives you much better odds of living a long, healthy life. Not a guarantee--just better odds. In the end, it's your body, your life, your choice. Only you can determine what that choice will be. A glycemic index (GI) of 55 or below is considered low. Quinoa has a glycemic index of around 53, meaning it won't cause as dramatic a spike in blood sugar. This is because it contains fiber and protein, both of which slow the digestion process. Incidentally, pearled barley has a GI of 25, less than half that of quinoa. As my Grandfather always said, "moderation in all things, especially moderation." Seems to hold true in everything. According to some autoimmunity researchers, everyone reacts to gluten and a form of gluten is present in barley, rye and most other cereals (even oats contain avenin). Also, some proponents of keto diets claim that we want to aim for a very low carb diet, as the liver then simply will make the glucose we need for all our bodily processes through gluconeogenesis (though at times we want to come out of ketosis to maintain metabolic flexibility). To me, gluconeogenesis does not seem like a desirable state which should be AIMED FOR ... at least, it is bound to be stressful to the body. This could partly explain the shorter life of the very low carb eaters in the study (though of course we can only speculate at this point, as we don't know what they actually ate). Is the data from the study actually available? Personally, I would love to have a look at it. Gloconeogenesis is the metabolization of protein. Not fats. This is an excellent article which answers so many questions I personally had in my search for good health. I appreciate it very much and I know I made a great choice in following Jin Barron. There are many points established in this article with which one can disagree. The body only uses glucose is among these points. Does the body use ketones. Is it not true that any substrate has the electrons cleaved from glucose, protein, fat to power the mitochondria and produce ATP? Because deuterium is present in the highest amounts in grains and other starches? Is one reason why grass fed animals are healthier is because of their low deuterium content? The list goes on, The article employs old concepts of disease that have lost some of their relevance. The point Jon was making is that when you consume food (proteins, fats, and carbohydrates), only carbohydrates are used for energy—after being broken down into glucose. But yes, ketosis is a normal metabolic process, something your body does to keep working. When it doesn't have enough carbohydrates from food for your cells to burn for energy, it burns fat instead. As part of this process, it makes ketones. The problem with a ketogenic diet is that although it can help you lose weight in the short term, it may not be as beneficial in the long term. https://lifespa.com/10-reasons-not-to-eat-a-ketogenic-diet-long-term/. In the end, when it comes to diet, moderation in all things seems to work best. As for deuterium, the chloroplasts in the leaves of plants excrete deuterium from their tissues, leaving them naturally deuterium-depleted. When any animal eats a diet based on green leafy vegetables (healthy carbs), they become naturally deuterium-depleted and hydrogen-water replete. I've been 100% plant based, I've eaten a Mediterranean diet, I've been high protein. I think that if your body is out of wack and out of balance it's best to give it what it needs and then get to a balance. If you've always livened in this balance then awesome. Plus, there are different blood types and evolutionary biology. It really all depends... some will do well on a certain way of eating and others on a different way of eating. I AGREE though that the Omega 3 to 6 balance is... CRITICAL!!! How about lectins in foods like tomatoes and eggplant supposedly healthy foods? The study showed a spurious correlation. Chill out paleo eaters. Hi, I have a question regards the breaking down and absorption of sugar in say, a chocolate bar, vis-a-vis that of say a berry. Other than one being an isolated and refine simple sugar, whilist the other may be a more complex long-chain sugar, how does the prescence of say chocolate oils, cocoa mass affect its absorption? I am just wondering if it might be possible that the sugar content of a 90% dark chocolate bar be of a higher Glycemic Index than its plain original self? Thank you ever so much for yet another brillant and thoughtful article! The sugar in whole berries is bound to the fiber in the berries, which is why it releases over time and has a lower glycemic index (raspberries for example, have a GI of around 32). Interestingly, chocolate also has a fairly low GI—with milk chocolate at 34-49 and dark chocolate at around 23. It also should be noted that a 90% chocolate bar only contains about 3g of added sugar, whereas a milk chocolate bar contains much more sugar--and when stuffed with added goodies can contain 6-9 times that much, with a GI approaching 70. You recommend "Extremely low (or no) consumption of high glycemic refined grains, starches (e.g. potatoes),.." which contradicts completely what John McDougall writes about in "The Starch Solution", where he recommends eating starchy foods i.e. potatoes and makes an elaborate point about starch, rather than carbs and the health effects eating a diet high in starchy foods. The studies he cites are numerous and his experience with helping people with all kinds of health problems sound convincing. Any ideas how this could be, given that you seem to recommend "extremely low consumption of starches"? Another question for which I have not been able to find an answer for: Mercola and various others claim that using fat for fuel results in a lot less toxic waste than using carbs for fuel. What exactly is the toxic waste they are talking about? Is there proof for this claim? If yes, where can I find this proof? Is it true that metabolizing fat generates less free radicals than metabolizing carbs? And what about metabolizing starches? At a quick glance, Jon's recommendations mirror that of John McDougall in that he is recommending a diet based on "plant foods" and "whole grains and whole-grain products." Jon is also saying low consumption of refined grains. As for fats, this is what Jon suggests: "https://www.jonbarron.org/article/fats-and-oils-made-simple"